When I woke this morning, while I lay in bed completing my bed stretches another part of my brain was configuring my breakfast plan. Once I got down to the kitchen and opened the fridge to see what I could combine, my breakfast waffle experiment came together. 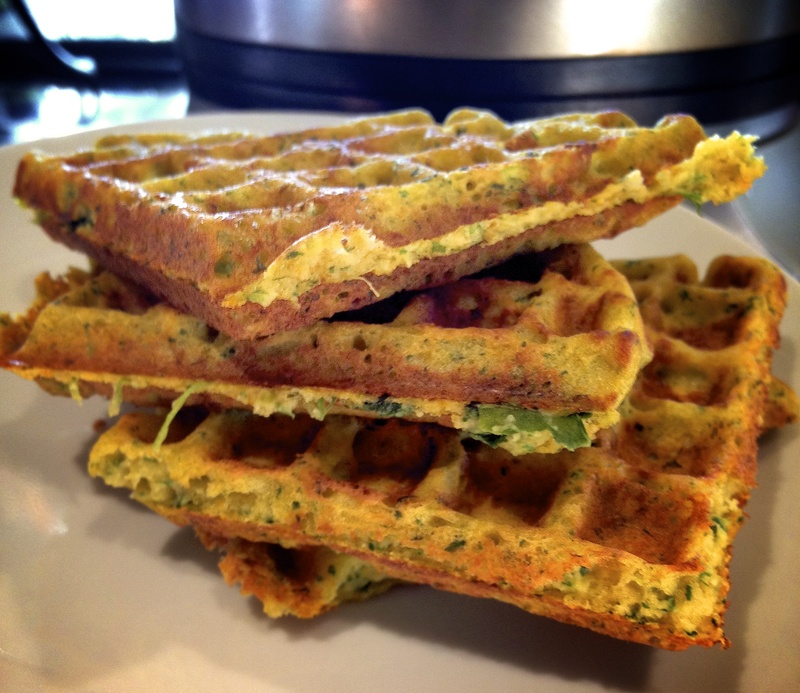 Since having a couple years of trial and error with pancake batter, I decided that I could muddle my way through a savory waffle. Here is what I did. Place carrot & sweet potato/yam into pot of water. Boil until soft. Set aside ½ Cup. ¼ Cup scallions (green onion) chopped. Set aside. 2 TBSP frozen spinach OR handful fresh washed leaves. Set aside. Purée all the above prepared vegetables in small food processor; only ½ Cup combined softened carrot & sweet potato. Add 2 – 4 TBSP (or more) liquid from boiled carrot/sweet potato pot to facilitate mixing. Set aside. Dry Ingredients: Combine dry ingredients in a medium sized mixing bowl. Wet Ingredients: Combine wet ingredients in a medium sized mixing bowl. Pre-heat waffle iron. Wipe or spray a lightly with olive oil (not extra virgin). Prepare vegetable purée. Set aside. Combine dry ingredients. Set aside. Combine wet ingredients. Set aside. Pour wet ingredients into bowl with dry ingredients and incorporate well. Add vegetable purée and combine well. Add more soy milk if necessary. But better to keep the batter on the thicker side. Pour batter onto pre-heated waffle iron following appliance directions. 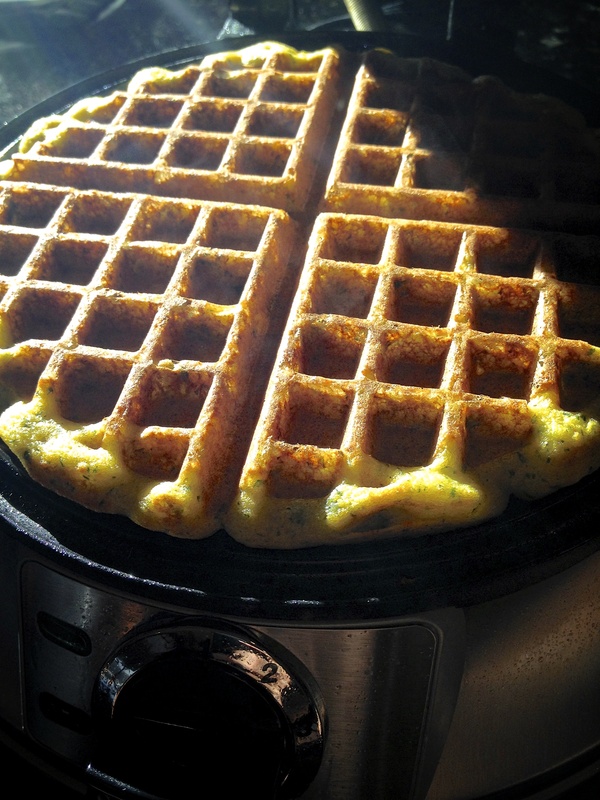 Extra waffles can be frozen (after cooling) and re-heat very nicely in the toaster. I enjoyed mine with a spot of unsalted butter, which melted nicely on the hot waffles, and they tasted equally good without any butter.